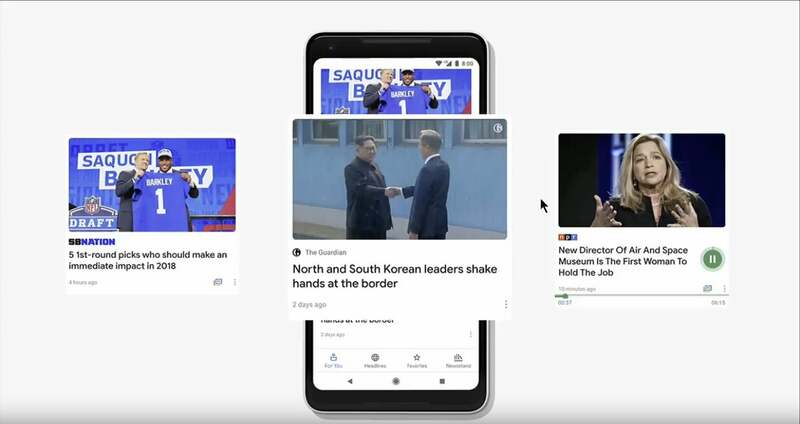 Google is overhauling its News app and web presence, making it easier to find the news that matters to you from the sources you trust. After years of minor updates, Google is finally rolling out a major overhaul of its News platform. Announced at Google I/O on Tuesday, the new Google News is more personal and customizable, made to better surface the news you care about from the sources you trust. Updates are rolling out to the web, Android app, and iOS app beginning today; the update should reach everyone by next week. When you first open the new Google News, you’ll be greeted with a personal briefing of the top five stories selected for you. These are chosen by AI that scours the web and selects stories it thinks you’ll care about the most, given your interests and preferred sources. Scrolling past that, you’ll see more suggestions, again selected by AI. It looks for local news stories as well, assembling them into a personalized Local section. The new News assembles a feed from you that consists of articles, video, podcasts, and more. The For You tab will use the massive amount of information Google already has about you to pick areas of interest and sources right out of the box, with no configuration. But it learns as you use it, tailoring the feed as it gleans what you want to see. You can always tap on any story and choose to see more or less about a particular topic or from a particular source. The Headlines section will show you the top stories generating the most coverage around the world. You can then filter by category or region to see top stories just from the U.S., or in Sports, or Technology, for example. Together with personalized news, Google News will let you see the top stories around the world and in your region. The new design puts an emphasis on large photos and video, to create a more engaging experience that pulls you into the story. The updated News app introduces a new visual format called Newscasts. These are cards that progress through a series of stories, videos, social media posts, and other sources. Animation, bold headlines, and pull quotes give you the gist of each piece of information. It’s a little like Twitter Moments, but from a wide variety of sources all over the web, not just tweets. 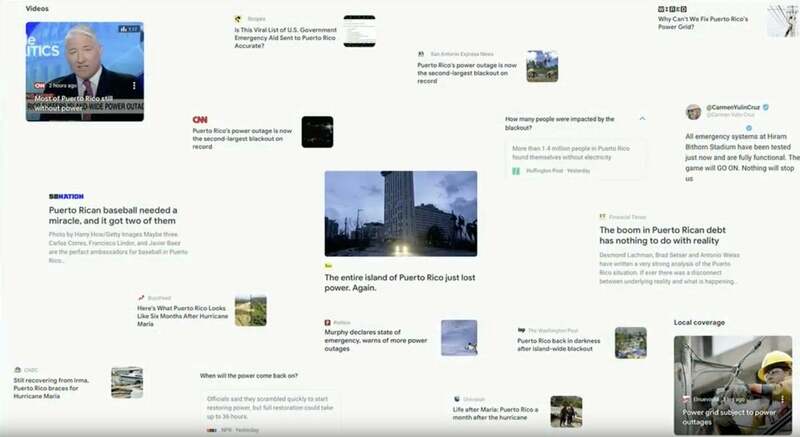 Newscasts bring together a variety of stories, videos, and social media posts around a single topic. Newscasts is all about giving you a broad view of a popular news topic, so you can quickly understand the gist of what’s going on and decide how you want to get more information. Full Coverage is assembled from a variety of sources and formats using something Google calls “temporal co-locality.” It maps relationships between people, places, and things in a story in real time, organizing it into storylines. It even assembles a set of answers to frequently asked questions, so you don’t have to hop out to the do a web search asking the same things as everyone else. It highlights tweets from a variety of relevant voices, and even displays fact checks so you can know what’s real. Full Coverage assembles a storyline around a topic from a wide variety of sources and formats and organizes it into a clear storyline you can follow. The Newsstand section is designed to make it easy to follow the sources you like most and find new sources to broaden your view. In addition to traditional news outlets, it features content from over 1,000 magazines. You can subscribe to paid news publications and magazines with one tap. 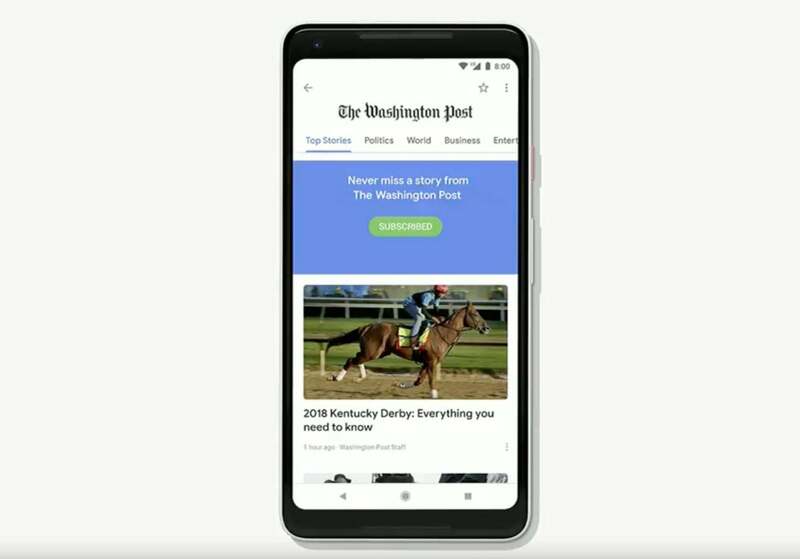 You can quickly follow publications with a single tap, and Google has made it dead simple to subscribe to paid publications. Just find the publication you want to subscribe to and tap the Subscribe button. You’re already signed in with your Google Account so you don’t need to create new passwords, enter payment information, or email addresses. 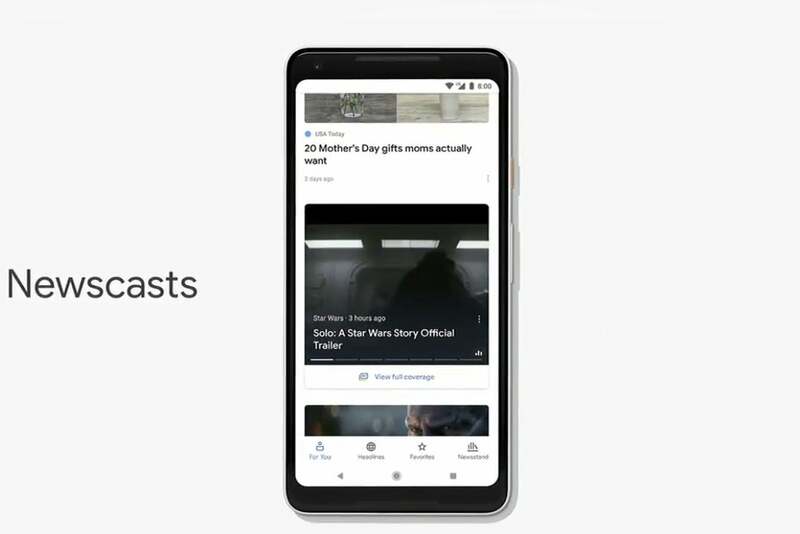 You’ll be able to access your paid content everywhere—in Google News on any platform but also on the publisher’s own websites. Google worked with over 60 publishers to build this new one-tap subscription feature, and says it will start rolling out in the coming weeks. 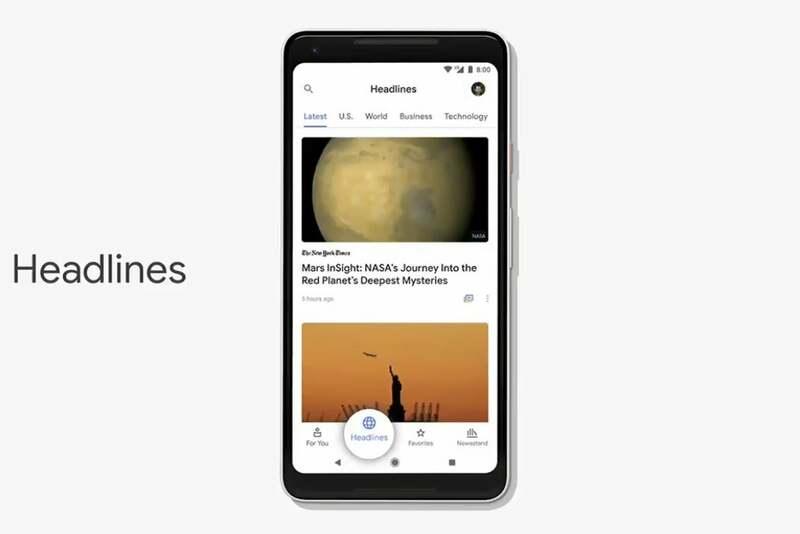 The new Google News is aimed at accomplishing three goals: make it easier to follow news you care about, help you dive deeper and get the full story, and make it easier to find, follow, and subscribe to trusted news sources. The app update begins rolling out on Android, iOS, and the web in 127 countries on Tuesday, May 8; the staged rollout should be complete by the following week. 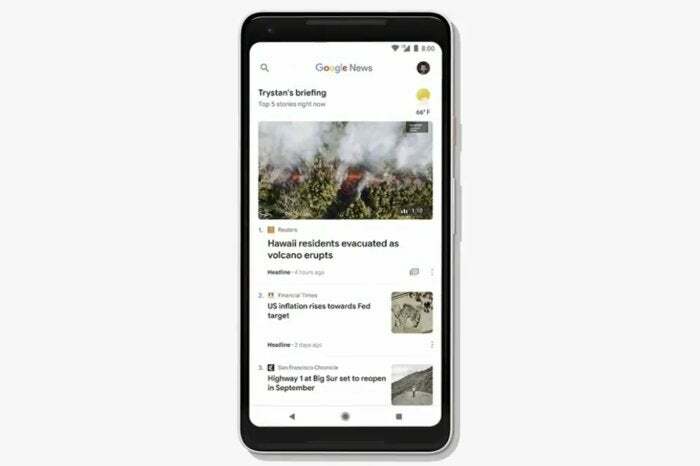 This story, "Major Google News overhaul starts rolling out today on web, Android, and iOS" was originally published by PCWorld. Jason has written professionally about technology for about 20 years. He aims to figure out how complicated technology works and explain it in a way anyone can understand.